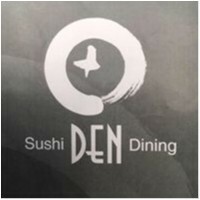 Sushi Dining DEN Vaucluse joined our Mission to help provide access to “Clean Water for All by 2030”. This Mission was initiated by the United Nations. A big thank you to Sushi Dining DEN Vaucluse’s team and customers for joining this extremely important mission on 20 March 2018. Japanese cuisine is delicious to eat and is one of the healthiest in the world. Japanese have had the world's highest life expectancy due to this. One of the big reason why Japanese people keep a low level of cholesterol in their blood. Fish, rich in polyunsaturated (“good”) fats (in particular, eicosopentaenoic acid, EPA), and the seaweeds Kombu and Nori. These contain high amounts of iodine as well as minerals and microelements which are both healthy and also impart to Japanese food its inimitable flavor.